Of the eight or nine composers in this compilation of mine – I’m still debating between two songs by two different authors – Vĩnh Điện is by far the least known. An officer in the South Vietnamese military, he was, I believe, many years younger than the other songwriters on my list. [Correction: He was in fact older than Trần Thiện Thanh – see comment below from Jason Gibbs.] His output in the Republican South was modest, as fewer than ten songs were recorded before 1975. My favorite is Vết Thương Sỏi Đá, “The Heavy Wound,” which has to do with the pain of romantic love than suffering from warfare. Check it out, below or from the website that bears its author’s name. 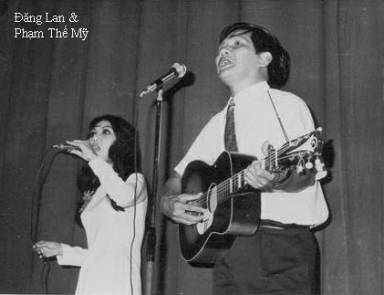 Imprisoned in reeducation camps for many years after the war, Vĩnh Điện came to the U.S. late in life and, out of his searing experience of prison, brought out a lot of new music. Some of these songs were composed in captivity: as the case with poets and songwriters in the same situation, he kept them in his head. Other songs were written in America. They have been recorded in a dozen of CDs, and you can read about them in this write-up of more than 150 pages! I set out a few basic criteria in the making of this compilation. One is no more than two songs from the same composer. One is to seek a wide variety on style and content. A third is to limit selections to the period of the Second Indochina War. There were many songs written during or shortly after the French War, and I hope to address the connection between the two periods at some point. But ten isn’t a large number by any means, and leaving out music from the First Indochina War hopefully helps to tighten the coherence of the list. 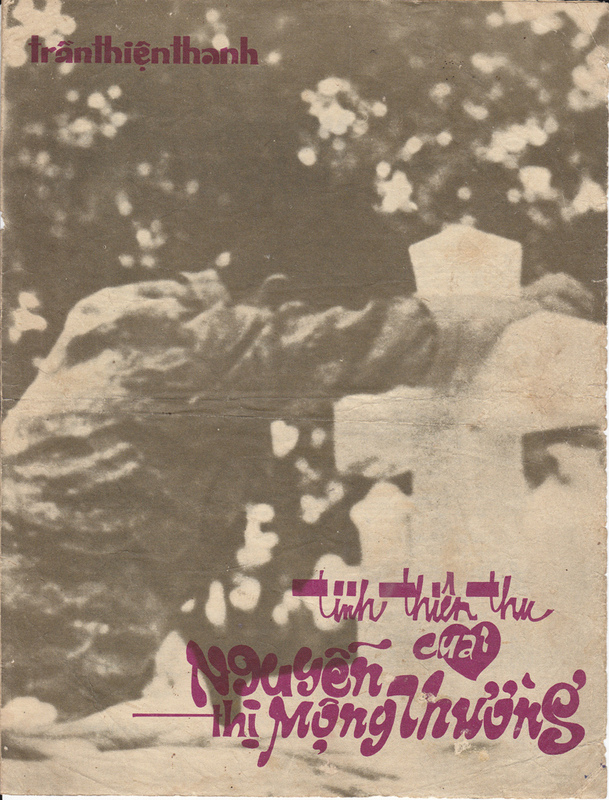 Another criterion is that the selections come from musicians associated in a significant way to the Republican Saigon, thus leaving out music from North Vietnam and the National Liberation Front (NLF). Communist music is worthy of studies for its propaganda value, yes, but possibly more. But it is not included on this list because it diverges too far from music of the Republican South.